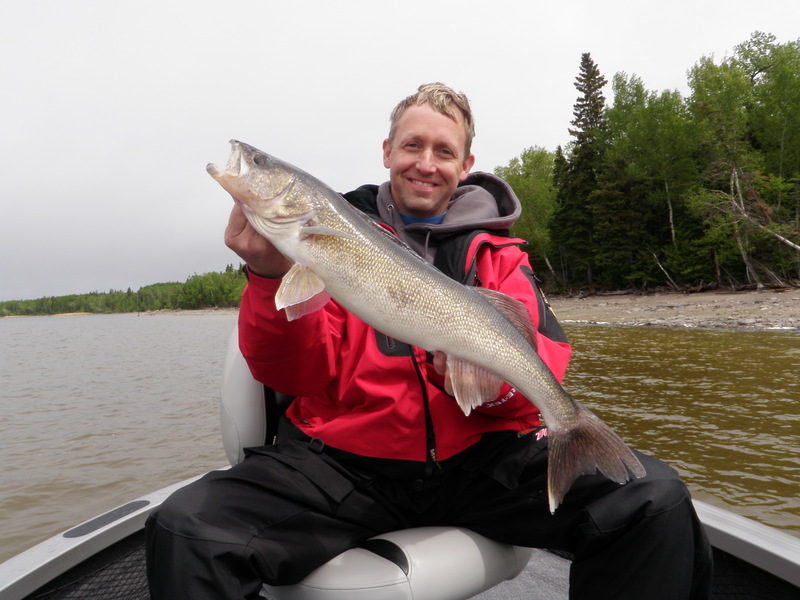 It was a mild winter across most of North America and it led to an exceptionally early ice out on Lac Seul. 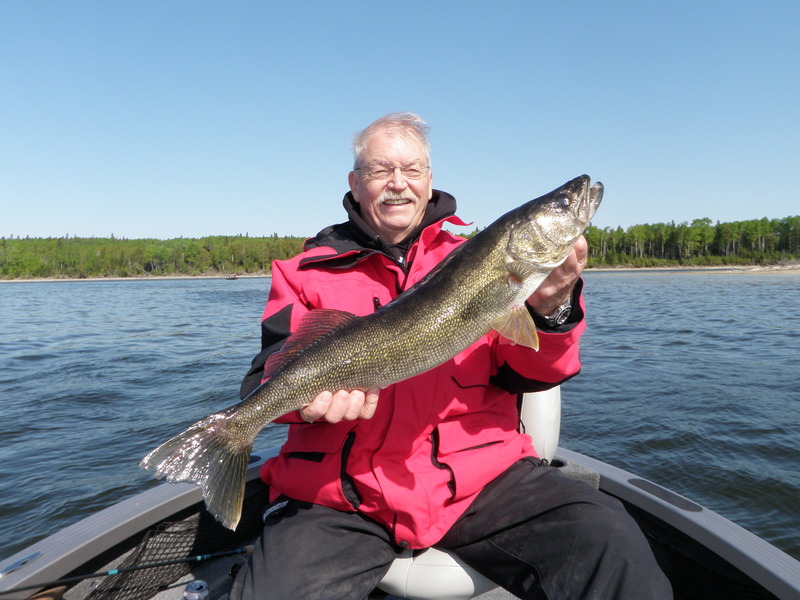 The last ice left the main lake on April 15 and the spring continued on at an accelerated pace until this past week when we cooled down again. 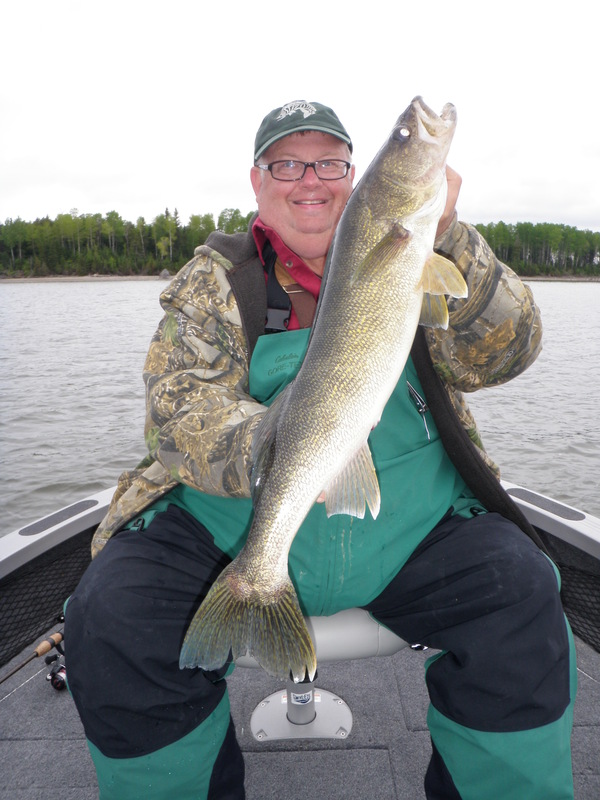 Main lake temps are 55 and the shallow water bays have bounced from the 50s to the 60s and back. The water levels are a foot lower than average, but we are still able to easily travel the Stix at speed. With rain in the forecast, we should see lake levels steadily increase over the next week. 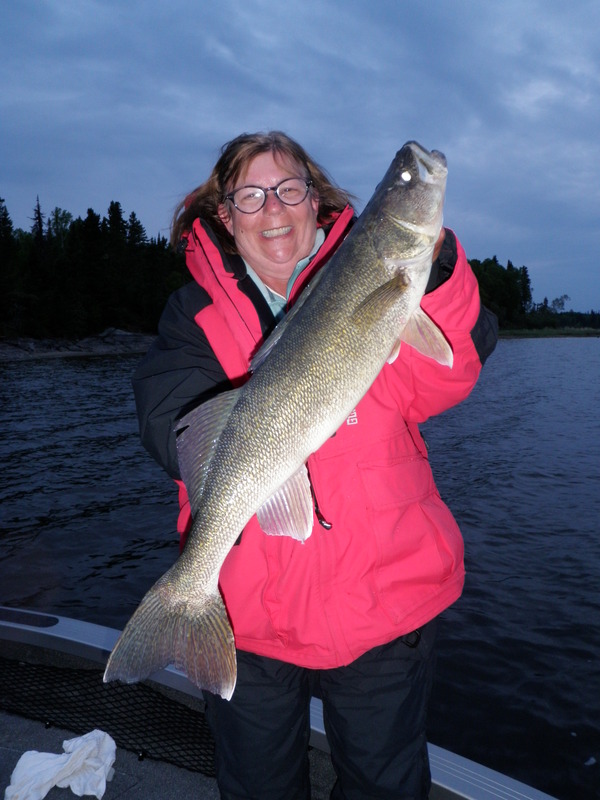 Overall, it has been an outstanding walleye opener. 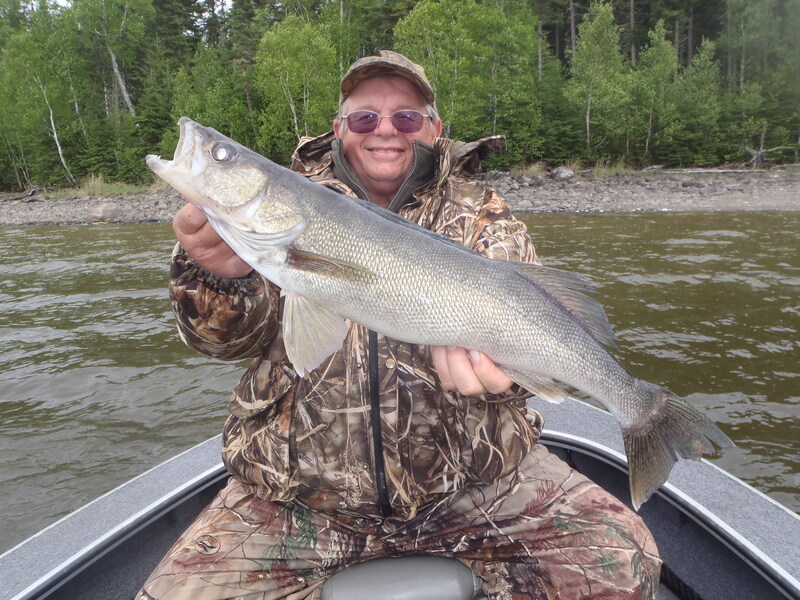 Volume has been strong and we finished the week with 45 walleyes over 27 in., including 13 – 28’s, and 3 – 29’s. 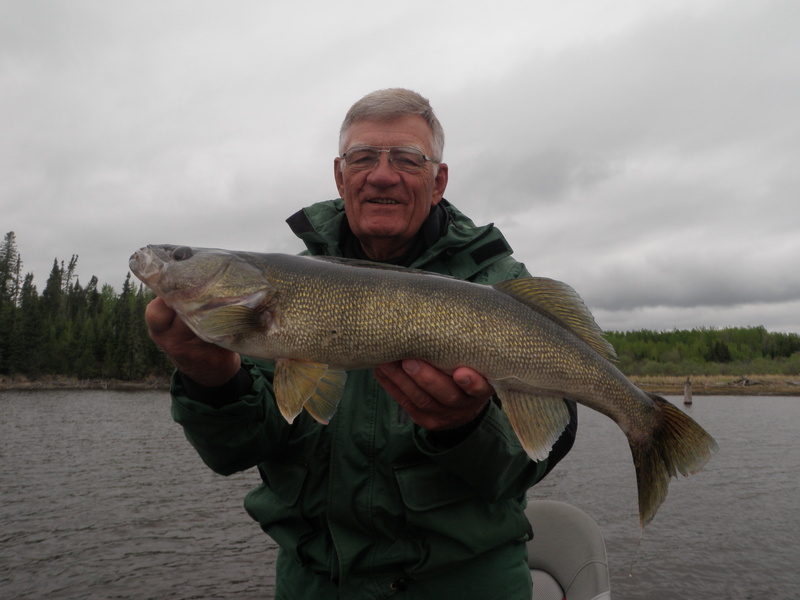 The warm water temps and advanced spring had us fishing walleyes on both “typical spring” and “early transition” spots. 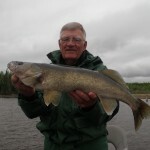 We have even found a few fish scattered on main lake structure. The most productive presentations were 1/8 and ¼ oz. 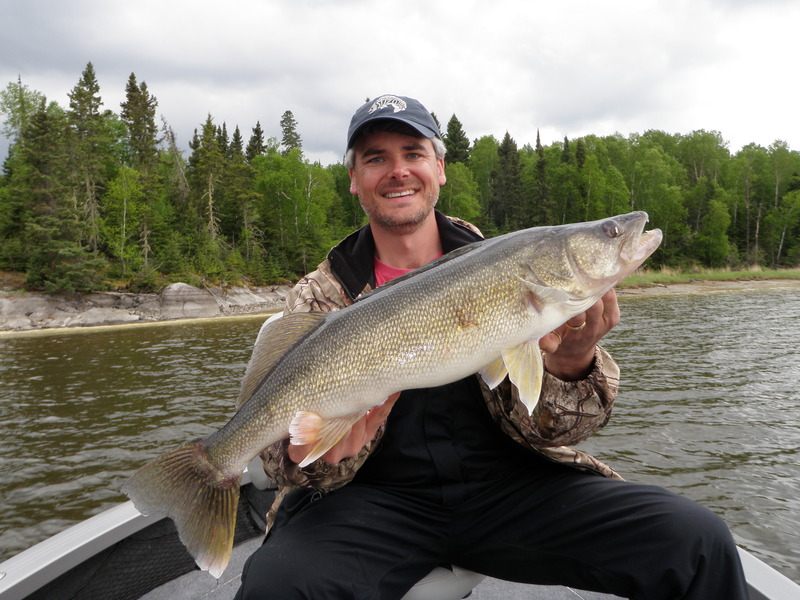 jigs and minnows in 8 – 12 ft, though we did have active bites where Gulp Alive minnows and twister tails pitched shallow were extremely effective. 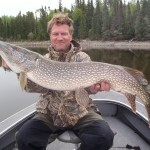 The down side of an extremely early spring is that we missed the peak of the shallow water, big pike bite. 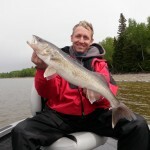 We caught a few stragglers on the way out, but many of the big pike last week were caught on jigs by walleye anglers. For the week we had 17 over 37 in., including 1 – 40, 1 – 41, 1 – 42, and 1 over 43 in. For mid-summer, that would be a great week, but for opener, we expect to have 3 times those numbers. 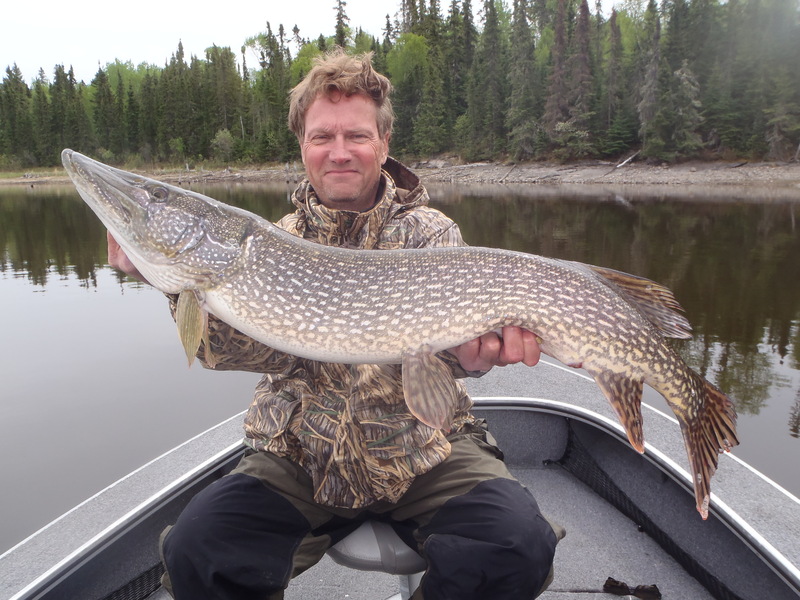 An early spring is great for operations, but not so good for big pike production. 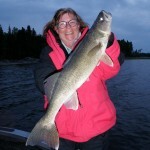 Surprisingly, the smallmouth bass have not moved up shallow in force. 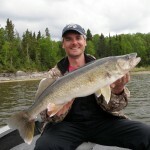 We have caught a few pitching jigs for walleyes, but most have been incidental catch in 6 – 12 ft. while walleye fishing. It is my guess that the recent cool weather, slowed them down and with a cold and rainy 5 day forecast, they may slip back into a more normal spring pattern. I know better than to speculate in print about fish behavior, but that is the feeling that we have for the season right now. Today was rainy and cold with north winds and daytime temps falling into the low 40s. 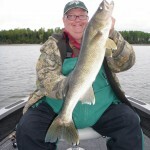 My fingers are just beginning to thaw out and tonight it feels a long way away from bass season. 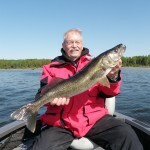 Variable weather in Northwest Ontario is nothing new, but this year is different all around. It has been the most trouble free opener in memory. With the warm temps, buildings settled early, the road dried out quickly, guide training lasted for 3 weeks, and fish were biting everywhere. On top of that, demand for spots has increased to the point that the few dates left available for this summer are the result of one or two recent cancellations. We are always happy to talk to potential new guests, but we are even more concerned about sending our current guests home happy. And this year to date, it has been easy.